DineFest sounds like an offer too tempting to resist. Rs 600/++ for a three-course fixed price meal comprising of an appetizer, main dish and a dessert at some of Delhi’s finest stand-alone restaurants (also covers Mumbai & Bangalore) where the price of one dish would probably equal the cost of what you will be paying for three. Trust Nachiket Shetye and Mangal Dalal of Cellar Door Hospitality to come up with this unique multi-city culinary event, initiated with the express purpose of making gourmet dining experiences accessible to a wider audience, giving food lovers a chance to try out restaurants where they might have hesitated to venture, either due to high prices or unfamiliarity with a particular cuisine. The segment they have chosen for Dinefest is “casual dining”, an area which has seen an explosive growth and where so much experimentation is being carried out by some brave young restaurateurs. La Bodega in Khan Market falls under this category where two sisters Smriti & Neeti Goyal, on their return after more than a decade-long stint of living overseas, decided to open their own place serving “authentic” Mexican cuisine in the middle lane of bustling Khan Market. This is far cry from the spicy Tex-Mex variants that have made people wary of trying out any new restaurant which professes to serve Mexican. For a change, even the décor of La Bodega does not scream “Mexico” as it is understated, sophisticated and very pleasant. For the 10-day long DineFest (on till the 28th of February), La Bodega has kept aside 2-3 tables for lunch and dinner and bookings can be made online (www.dinefest.in). There is both a vegetarian and non-vegetarian menu featuring signature dishes representative of their philosophy. The appetizers, which come in bite sized portions, feature Tacos, Tostadas, Quesadillas and Soup while the Mains have Burrito, Enchiladas and Sandwiches. Among the dessert you can choose between Churros, Tres Leches Cake and Corn Cake. 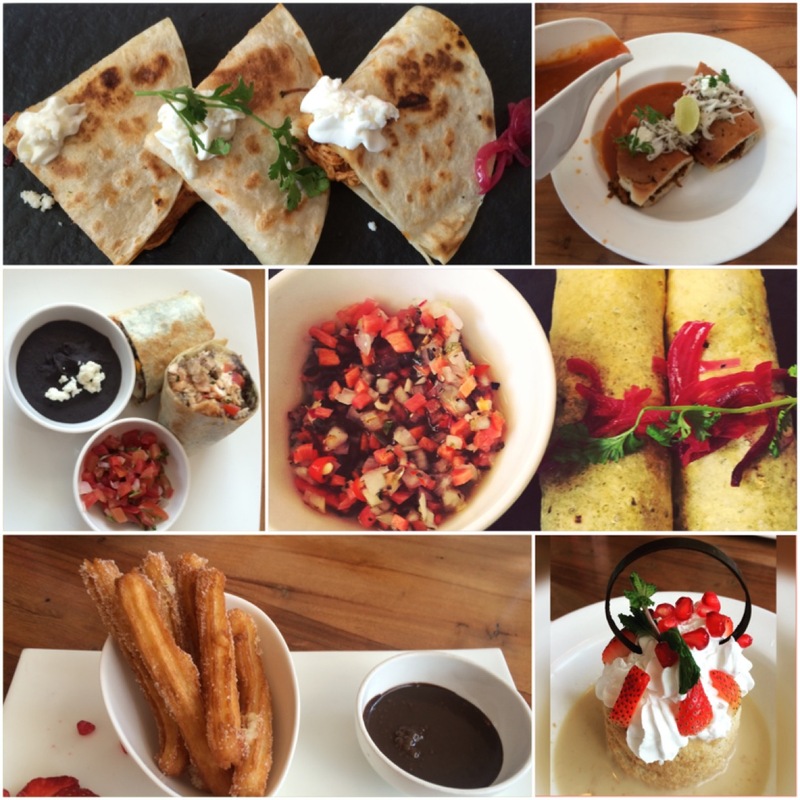 Their DineFest menu basically covers a spectrum of Mexican food ranging from street food to specialty dishes. So here is your chance to try out “authentic” Mexican food at a fraction of “a la carte” rates, a bonanza for those who complain about La Bodega being overpriced. Cellar Door Hospitality plans to hold DineFest once a quarter, in February, May, August and November with 10-20 restaurants per participating city.